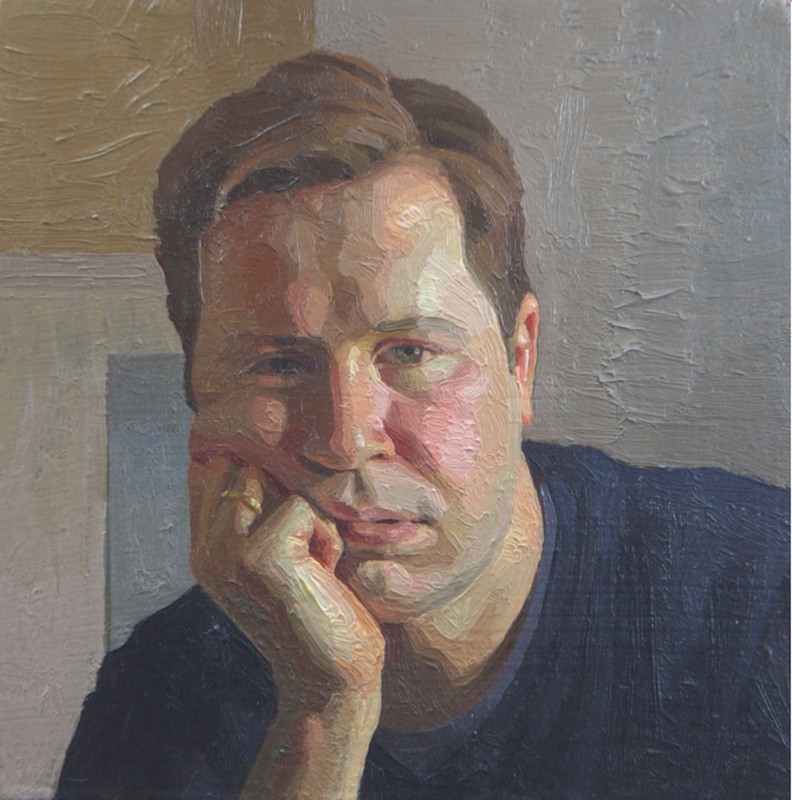 Benjamin Sullivan, born in 1977, is best known as a portrait painter. He won the BP Portrait Award in 2017 for “Breech”, a remarkably honest and tender portrait of his wife suckling their baby daughter. Other notable works include "All Souls Triptych", a large group portrait of the staff of All Souls college, Oxford, and more recently, portrait of HM the Queen. 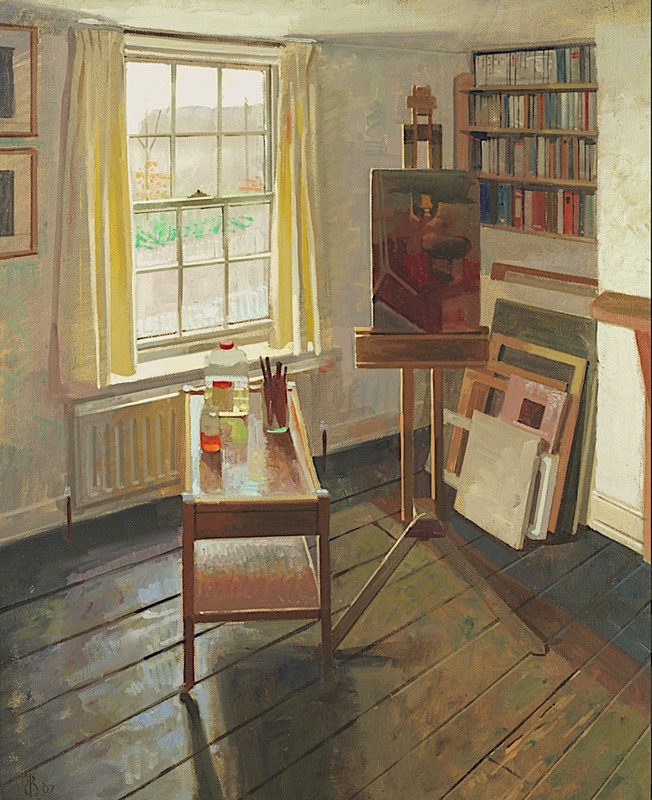 The painting we have here is a portrait of a different kind, posing the question: What does a picture of an artist’s studio tell us about the artist himself?